Google’s own Quality Guidelines err on the safe side by suggesting that you don’t participate in link schemes, but links are the lifeblood of the net for Google, a marque of quality, a vote of popularity, so there are many ways to consider how to improve that critical factor* link equity. While there is currently a lot of hoo-hah about the wbe’s latest phenomenon of link building – a form of PR outreach to influential bloggers – this is what link building has always been all about. From way back at the beginning of the web links have been given based on a good impression of another web page. Critical to this is ensuring that you make this good impression, and this is where experience again comes into play. Leveraging your key assets, your USPs and differentiators by either creating or even just reusing ideas, content, products and services, that you may already have available at your finger tips can prove very cost effective dividends. 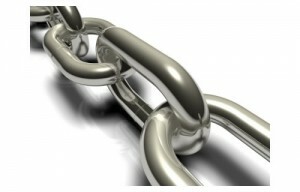 *90% of Google’s algorithm is currently links based.